Editor’s note: The following is an opinion piece. The writer is not employed by Military Times and the views expressed here do not necessarily represent those of Military Times or its editorial staff. That’s the employment advice one Blue Star Families’ employee received as a young military spouse (with a master’s degree) who had recently left her professional career to marry her sailor. The world needs all kinds of people and skills to make it run. There is dignity in all hard work. But to offer an unskilled job as legitimate career advice for a master’s level educator? That just doesn’t add up. Unfortunately, the experience of underemployment and unemployment is too frequent for military spouses. According to the Blue Star Families’ annual survey, most military spouses are out of the workforce, with more than half of those not employed actively seeking work. Among the employed minority, most make less than $20,000 a year. This hurts families: Most American families need two incomes to meet their goals, and it isn’t fair that military families are financially disadvantaged compared with their neighbors simply because they volunteered to serve. In our survey, military spouse unemployment/underemployment was the top cause of financial insecurity for respondents. Why are military spouses facing these problems? After all, we have a robust economy that needs workers, and military spouses are more educated and better credentialed than their civilian counterparts. In other words, they make great employees. 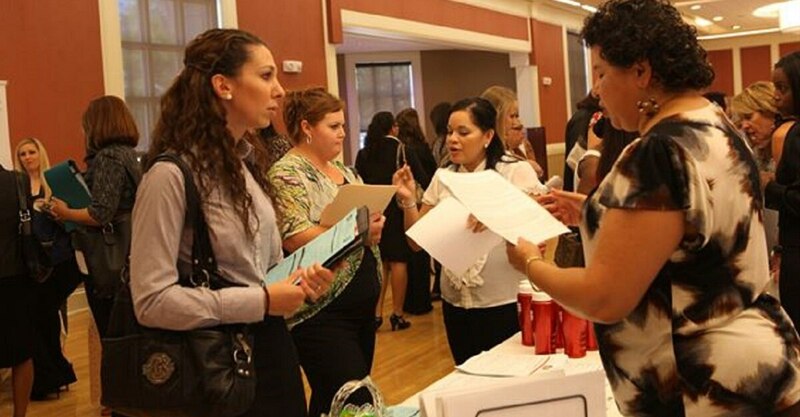 A number of efforts currently help military spouses, including job boards with thousands of postings. But the employment challenges spouses face aren’t because of personal failures. The system makes success hard to come by. The answer to our question is threefold. One: Military spouses are invisible. It isn’t easy to find and proactively hire military spouses. Two: Most state licenses can’t be transferred. Three: Finally, the most universal problem: most military spouses have requirements around the conditions under which they can work. Those conditions include needing remote work all or part of the time, flexible hours to match the unpredictability of the needs of the military, work that moves with them, or short-term work. They may need reduced work hours because frequent moves means they can’t find reliable child care. I know what great employees military spouses are, even when working remotely and with flexible hours. About 90 percent of Blue Star Families employees are military spouses, and they work where the military takes them. This past year, our team stretched from Okinawa to Italy — and we still managed to sustain high growth for our organization. What can we do about these constraints? We made the challenges and the opportunities visible and created a tool called Spouseforce. Spouses can input their experience and the conditions under which they need to work in a way we can aggregate. Using the tool, we can find spouses by ZIP code, skill sets, and work conditions. We share that information with employers who agree to consider work conditions before reaching out. Spouseforce is an interactive, tailored, virtual experience where we gather critical information about military spouse career needs and desires to tell the real story of military spouse unemployment and underemployment. We’ll take that indispensable information to policy makers and employers who can help us change the military spouse employment landscape. How to get help on the home front. When we’re able to take the stories and experiences of military families to people who can do something about it, they listen … and take action. Sen. Tim Kaine, D-Va., helped us organize a number of roundtables on military spouse employment. After listening to spouses and others, he partnered with Senator David Perdue, R-Ga., to introduce the Military Spouse Employment Act of 2018. We contributed to and advocated for provisions in that act that will expand noncompetitive federal appointments for military spouses, raise awareness for on-base licensing portability resources, and increase child care availability. Spouseforce itself grew out of this listening effort. We will continue to support advocacy by sharing the results of Spouseforce to inform future initiatives. Spouseforce continues the necessary work of helping military families realize the American dream. We’re working to ensure military spouses have the chance at fulfilling careers that work for them, their families, and their military journey. Supporting men and women in uniform means supporting their families. When service members know their spouses and children are happy and healthy, our troops are able to be mission-ready and better serve this great country. 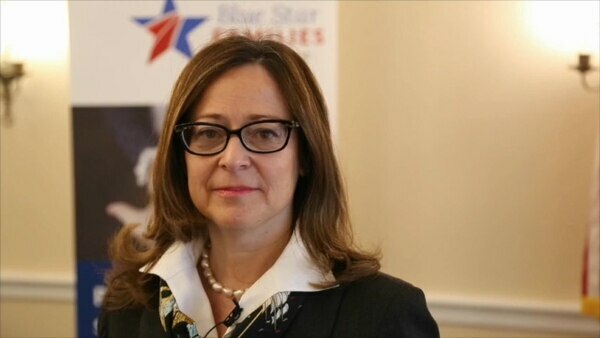 Kathy Roth-Douquet is the chief executive officer of Blue Star Families.